Essentially, a smile makeover is something that you desire to have performed, while a full mouth reconstruction is a necessity that you need to have performed. In order to develop your ideal smile. 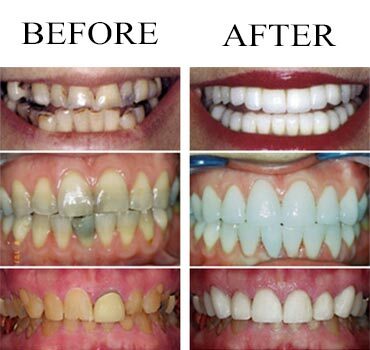 Smile makeovers are performed for many reasons and customized according to your unique considerations. In addition to the color, alignment and balance of your teeth in the esthetic zone of your smile (the section of upper and lower teeth that show when you smile), there are several attributes of your teeth and smile that cosmetic dentist will evaluate with you when planning your smile makeover, these are Tooth Length, Smile Line and Tooth Proportion. Dr. Afshar with years of experience as a cosmetic dentist performing smile makeover is adept at blending functionality and aesthetic. She can artistically characterize your crown or veneers to create a more feminine or masculine appearance, in addition to matching the look and feel of your natural teeth.